He befriends Nicki, a girl searching for understanding she thinks only Ryan can provide, and the wonderful thing about their relationship is that it’s unremarkable. Nicki is the only person outside of Val and Jake that doesn’t walk on eggshells around Ryan. His parents (particularly his mother) watch his every move and most kids in town think of him as the psycho kid who tried to kill himself. What he and Nicki have is nothing but real. She doesn’t hang out with him in an effort to save him. They are both honest and unflinching and don’t spare each others feelings. Ryan shares truths with Nicki that he has never said out loud. In his mind, the things he has done or failed to do are truly horrible and he’s worried he’s sicker than anyone really knows. None of it is enough to make Nicki run. It would have been very easy for Jennifer Hubbard to throw in something awful or tragic and give me the shock I looked for in the beginning. Instead, she maintained the realness of Ryan’s story and those of the people surrounding him. Each one of them is just a person with issues, some more serious than others, but just people. Hubbard touches on themes of human invisibility, detachment, abandonment, and bullying among others. The story points to the fact that sometimes having people around you who should be a support circle isn’t enough because simply having them around doesn’t mean they know or understand you. 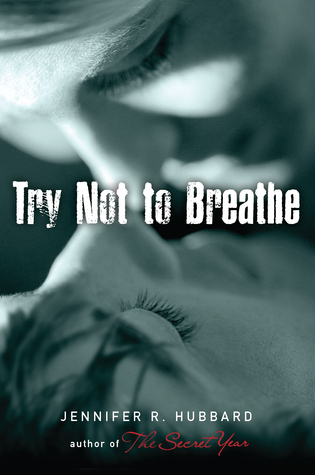 Try Not to Breathe also illustrates that when you’re in a bad way or going through a tough time having someone treat you like everything is fine can be exactly what helps you achieve some sense of normalcy again. Walking on eggshells or being overly worried only serves to remind those people that things aren’t fine and makes them more self-conscious or concerned than they already were. Nicki brings some semblance of normalcy back into Ryan’s life by breaking down his barriers instead of worrying that he could go over the edge at any moment. I know I’ve said it before, but real is the only way I can describe this novel. It’s unguarded and honest. 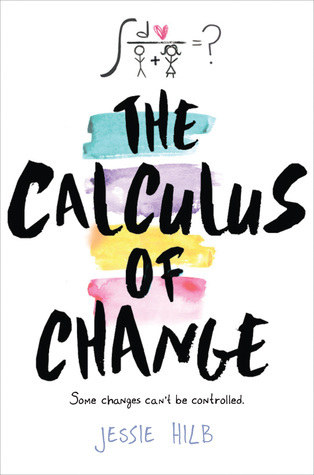 I have been anticipating this book since I first heard about it, and it did not disappoint. Make sure you pick this one up! I've met Jennifer Hubbard at a few local author events and had the opportunity to chat with her about this one. She's a wonderful person, and I am not surprised to hear that her second book is excellently written as her first! Another fabulous book from Jenn. I can't wait to read this!